The numbers of local stone axes and hammers found on the island show that Sark has been occupied for at least 5000 years. Recent archaeology has turned up bronze objects and earthenware on a site occupied towards the end of the mid-Bronze Age, c.1300. The celebrated ‘Sark Hoard’, unearthed in the centre of the island in 1719 (and unfortunately lost soon afterwards), contained Dacian horse-silver trappings, together with some Celtic and Roman coins: this treasure may have been the booty of a Roman mercenary, coming from the Gallic Wars of 58-51 BC. Recent excavations have recovered Celtic and Roman coins from the period 100 BC to 200 AD, similar to those in the Hoard. The Romans are likely to have inhabited Sargia, as they called the island, for at least two centuries. After Rome adopted Christianity in the fourth century administration of the Channel Islands eventually came within the bishopric of Coutances. 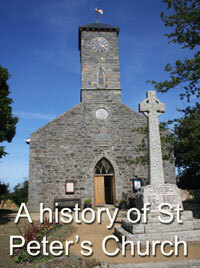 In 565 the missionary St Magloire was granted half of Sark. He founded a monastery in the north-west of the island (still known as 'La Moinerie'), and gathered 62 monks who cultivated the land. He built a watermill above the landing place at Port du Moulin, and a dam and sluice upstream for ponds at L'Ecluse. The monastery lasted till the 14th century, surviving pillaging in the ninth, when Norse pirates sacked churches and castles in Montbourg and raided Sark and Herm. The next generation of Norsemen (now Christianised Normans) settled the region and Rollo was first Duke of Normandy. In 933 the French king gave Rollo's son William Longsword the Channel Islands to enlarge the ducal fief of Normandy. For two centuries Sark was a pawn in the power game of barons and bishops: granted to the abbey of Mont St Michel in 1042, then to the Bishop of Coutances in 1057, taken back by William I in 1066 (thus began Sark's long association with the English crown) and regranted to the Reviers-de-Vernon family in 1100. De Vernon forfeited Sark to King John for treason and from 1203-1218 the English fought off the French for possession. The Sark community weathered these stormy times. The De Vernons had endowed the parish church of St Mary and a priest to say mass. By 1274 Sark had a population of about 400, so that most of the land must have been cultivated, apparently in open fields. The people grew wheat and flax, they caught and dried congers, trapped and skinned rabbits, providing substantial revenues for the English king until the late 14th century. Lacking trees, they cut bracken, gorse and seaweed for fuel. Increasing traffic in the Channel, together with volatile Anglo-French relations for the next three centuries, made Sark strategically important. In 1549 a French naval force landed Captain Francois Breuil and 400 men on the island. Their forts can still be made out - overlooking the landings at the Eperquerie and Grand Greve below La Coupee, and on the Hogsback above Dixcart Bay. The 100 men remaining in 1553 were expelled by a Flemish corsair, vainly hoping for reward from the English Queen Mary. A Jersey party rased the fortifications. By 1560, when a French noble claimed Sark from the French king, the Crown commissioners were surveying 'waste' lands in the Channel Islands. From his manor of St Ouen in north-west Jersey Seigneur Helier De Carteret saw the opportunity Sark presented and the danger of French occupation. In 1563 he obtained a lease from the Commissioners to 'farm' Sark. He and his wife Margaret, together with tenants and friends from Jersey, made temporary shelter in St Magloire's 'old vaulted chapel' among its ruined cells, while they worked clearing fields and planting their first wheat and barley, oats and parsnips. According to the eulogistic Croniques de Jersey Sark had rabbit warrens and no trees, so Helier imported all the timber and worked stone for new building. Helier's initiative was rewarded by Queen Elizabeth in 1565: by grant in Letters Patent Sark was made a noble fief, to be held in perpetuity by Helier and his heirs for payment of 1/20th part of a knight's fee and defence of the island. With binding obligations to maintain 40 households and men with arms, he could sell it only by royal permission. The grant established the constitutional basis which has endured to the present day. Its principle is land tenure on perpetual lease in return for annual rente, maintenance of a house and obligation to defend the island. Each original tenement had arable land to support a family, plus cliff-top grazing, mostly for sheep. The tenants built single-story, two-roomed houses in clusters at the head of valleys around fresh water sources. They enclosed small fields ('clos'), cultivated cottage gardens and planted fruit trees. Sea fishing and knitting enriched their livelihood. Of the first forty tenants most came from Jersey, a few from Guernsey and from England. They were united by family ties and a strict Presbyterian faith, which set store by the Sunday sermon and vigilance by the Elders over private morals. Their temple, a simple thatched building with an earth floor, attached to the Manoir probably on the site of the medieval parish church, also served as court room. Helier's settlers brought Jersey laws, customs, and measures. Granted power to make his own court, the seigneur modeled it on Jersey's: in October 1579 the inhabitants elected a bailiff and ten (later twelve) jurats, Greffier, Procureur, Serjeant, Constable, Centenier, two Vingteniers, two assistant constables. Their first Chief Pleas (parliament) met in November. The scale of this administration was a clear bid for Sark's independence from Guernsey and did not go unnoticed. Governor Leighton considered that De Carteret usurped some of his own powers. In fact, Helier died before the court was ratified. Leighton challenged its legality. In 1582 the Bailiff of Guernsey and four jurats with armed men crossed to Sark and demanded the muster of 40 'men-at-arms' (the quarantaine defence force). When they could not be found, Sark's bailiff and two of its jurats were deported to Guernsey. Eventually, after Helier's son had appealed to the Privy Council, an Order of 1583 established a more modest court with five jurats, the senior to be judge, and Guernsey as appeal court. The Governor's military authority was upheld. This court, implemented in 1594, lasted till the Seneschal's court replaced it in 1675 (for full text see under CONSTITUTION). Notable among De Carteret achievements were the Seigneurial windmill (1571), which still stands, and the tunnel (1588) making access to a sheltered eastern harbour at Creux for the fishermen. When pioneering work had increased the value of the original lands, some tenements were sold; others reverted to the seigneur for chronic default of rentes or lack of heirs and were regranted to new settlers. But the Jersey inheritance custom familiar to the tenants threatened Sark's viability, because splitting lands between children created parcels too small for a livelihood. Moreover, some fields were sold to neighbours or conveyed for cash mortgages. To arrest this fragmentation Seigneur Philippe II petitioned King James I, whose Order in Council in Letters Patent of 1611 confirmed the indivisibility of the tenements (like the fief itself) and forbade mortgaging. Tenements were to descend to eldest sons in their entirety. Economic development in the 17th century strengthened ties with Guernsey: Sark appeals went to Guernsey Royal Court; Sark lambs, wool and stocking were marketed in St Peter Port. But while most Sarkese looked towards Guernsey, their seigneurs were mostly occupied as lords of St Ouen, serving as jurats and bailiffs in Jersey. When Civil War finally broke the islands chose: Guernsey for Parliament, Jersey for the King. In 1643 the fief of Sark was confiscated and the Seigneur's powers effectively vested in Sark's judge John Le Gros and in a military Captain of the garrisoned soldiers. While the Commonwealth lasted, Le Gros, a rich and influential merchant, and his fellow jurats sanctioned many breaches of James I's Letters Patent of 1611: a third of Sark's tenement lands were dismembered as a result of this opportunistic trading. Restoration of monarchy in 1660 brought royal pardon to the 'rebels' subject to their remaking all contracts made under the Protector, and to an oath of allegiance taken on the sacrament. Sark's Presbyterians resisted conforming; they were led by their judge and minister, and aided by the death of the Seigneur leaving an underage heir. Philippe De Carteret IV came of age in 1671 and started litigation to reassemble the dismembered tenements. Faced by an intransigent Sark court and jurats who refused to swear an Anglican oath, he petitioned the Crown. The resulting Order in Council (1675) dissolved the Sark Court and replaced it with a Seneschal, Greffier and Prevot, appointed by the Seigneur. This jurisdiction, though less democratic, proved successful and has stood the test of time. By 1681 many of the infractions of the Commonwealth period had been corrected. Steady decline of the De Carteret fortunes in the islands over the next 45 years was not arrested by selling off substantial parts of the Manoir estate in 1719. Preoccupied with English affairs, Lord John Carteret sold Sark in 1720. The island was 'owned' by a succession of Englishmen for ten years - none of them taking any active interest in its affairs - before being purchased by Susanne Le Pelley in 1730. She was widow of a prominent Guernsey privateer and daughter of Sark's former judge John Le Gros. The Le Pelley dynasty lasted until 1852 and saw great social and economic changes. Dame Le Pelley and her son Nicholas modernised and enlarged the Le Gros family house at La Perronerie and made it the Seigneurie, designating the Manoir as the minister's house. A lengthy and litigious battle with the incumbent (1752-57) signalled a further decline in the tenuous authority of the Anglican Church. Methodism gained a foothold and a Methodist Chapel was built in 1796. Revolution in France fanned smouldering anti-feudal sentiment in the Islands. Sark tenants objected to the corvee which obliged them to provide labour for road repairs; they challenged the Seigneur's milling monopoly, burned the mill in 1797 and built two others. Pierre le Pelley II and III responded positively with public projects: the mill was refitted, a free school was built. A new and enlarged parish church, thought necessary to stem the tide of Methodism, was ingeniously financed by a scheme for pew rents (still paid) and was completed in 1821. Danger of French invasion during the Napoleonic Wars may have cooled anti- authoritarian feelings and made the Sarkese work together: new canon were placed at strategic lookouts on the cliffs, where some can still be visited, and the Sark tenants dutifully kept night watches and mustered their arms. A brief period of industrialisation had a dramatic effect on Sark's society and landscape. The discovery in 1833 of copper and silver loads in Little Sark led to the formation of the Sark Mining Company. To finance the venture the Seigneur got Crown permission to mortgage the island to John Allaire, a Guernseyman grown wealthy through privateering. In hope of finding lucrative veins of ore, some English 250 miners, mostly Cornish, were brought in. More shafts were sunk, galleries were deepened, more pumps and costly machinery were bought. The results were disappointing and by the time the mines were abandoned in 1847 the Seigneur was deeply in debt. Byproducts of Sark's failed industrial revolution included two medical practices, a flow of visitors from Guernsey to view the workings or to sell goods to the miners, and the importation of spirits for those who disdained island-made cider. In future the impot on alcohol would provide a substantial part of island revenues. The Le Pelley mortgage could not be financed from the meagre rents and tithes paid in Sark. In 1852, with Crown permission, Peter Carey Le Pelley sold the fief to Marie, widow of T.G.Collings; she had inherited the mortgage from her father John Allaire. Dame Marie Collings died within the year and her son the Reverend W.T.Collings became Seigneur. Like the first Le Pelley seigneur, Collings was university educated and he started by 'improving' the Seigneurie house and grounds. He also added a chancel (with stained glass) and later a bell tower to the original 'low' church. He helped build new piers at Creux harbour to accommodate the steam boat service from Guernsey. His energy and interest in the welfare of the island, his injection of money for capital projects, lifted the whole economy. The Seigneurie garden was opened to the public, tourists started once again coming from Guernsey and they stayed in newly built hotels. Roofs were raised, trees and gardens were planted. Fields which had grown grain for centuries were put to pasture for dairy or carriage horses. For the next hundred years, except for two periods of war, tourism and prosperity steadily increased. Settlers from England bought or leased property so that the balance of inhabitants speaking patois ('Sercquiaise') and English slowly shifted. The owners of new leasehold properties were not represented in Chief Pleas and an attempt to rectify this was made by a Reform Law of 1922 which added 12 People's Deputies, elected by adult suffrage of males over 20 and females over 30. During World War II Sark was occupied by German forces from 3rd July 1940 to 10th May 1945. Though many islanders, non-natives, were deported to Germany, people suffered less than in the larger islands because of Sark's size and unaccommodating geography. The forceful leadership of its Seigneur, Dame Sibyl Hathaway (nee Collings), and Sark's traditional reliance on agriculture and fishing were also crucial. After the Liberation, German prisoners constructed the first properly protected road across the perilous Coupee to Little Sark. Work on an entirely new jetty at Maseline, suspended when war broke out, was completed in 1949. Use of electricity and telephone became standard. The Reform Law was modernised and, with minor amendments, remained unchanged until the year 2008. The beginning of the 21st Century has heralded great constitutional changes brought about by the requirement to ensure all law applicable to Sark is compliant with the international agreement on Human Rights. The changes required are effectively removing the last semblance of feudalism in the island. In 1999 the inheritance laws which encompassed male primogeniture were changed to allow the choice of heir to real property and to ensure equality between the sexes. The Tax law dating from 1899 which empowered the Douzaine to raise money for poor relief and island maintenance such as road repairs was abolished (on the grounds that the tax payer could not calculate his own tax) and replaced in 2004 by a more complicated but 'human rights' compliant capital tax. 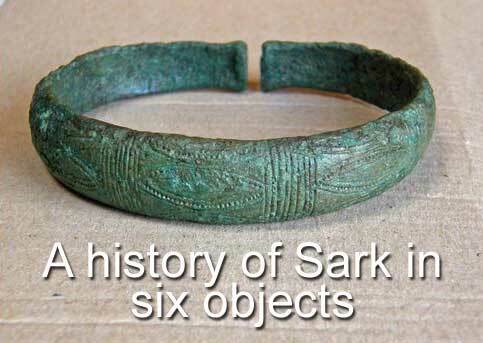 At the end of the millennium Sark embarked on the process of changing its constitution. The Reform Law of 2008 removed the obligation of tenants to sit in Chief Pleas and created a wholly elected legislature of 28 conseillers. The consequent changes in how Sark is governed and administered are gradually being worked through. The 21st century has seen the building of a New Island Hall and School, and a spate of renovation in Sark’s hotels and housing. Daily life remains essentially unchanged. The population of over 600 is the highest since the mining years, with almost 500 on the electoral roll and around 50 children in the School. Sark still has no airstrip, no motor cars or tarmac roads. Personal transport is limited to horse or carriage, foot or bicycle. Sark remains the least affected by modern life among all the Channel Islands.